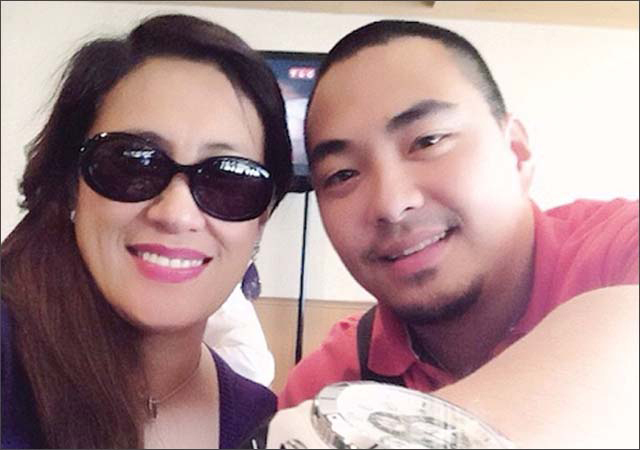 A visibly distraught AI Ai Delas Alas admitted to talk show host Boy Abunda her separation with Jed Salang, her partner for fifteen months. The couple married in Las Vegas, Nevada just last April 3. The two originally planned to have a church wedding in the Philippines by December. Delas Alas’ interview with Abunda was recorded early morning of May 19. ABS-CBN has uploaded a six-minute clip of the interview on its YouTube channel. It starts with Abunda asking Delas Alas if she thought Salang loved her. After a long pause, the comedienne said “(Pagkatapos ng) lahat ng nalaman ko, tingin ko hindi,” before breaking down. Complete with a melancholic music scoring, Abunda then asked Delas Alas about the “till death do us part” marriage vow that she took with him. She said: “Sinubukan kong isapuso yan, pero siguro, depende yan sa asawa mo,” hinting that the problem is on her estranged husband. The comedy concert queen then said that her lawyers will soon be working on the legal aspects of their separation. Delas Alas also apologized to her kids for not being able to give them a “complete” family. “Baka hindi takaga yun para sa atin,” she recalled telling one of her sons. “OK na yung pagmamahal namin sa isa’t isa. Kami na lang,” she said. “Gusto ko lang naman namnamin yung (marital) vows ko at ipaglaban yung pag-ibig ko sa asawa ko,” she said, adding that it’s her dream to get married. She also refused to give any specific message to her soon-to-be ex-husband. She also thanked God for giving her strength throughout the ordeal. “Sobrang pasasalamat ko sa Kanya. Feeling ko hindi Niya ako iniwan sa tuwing may nalalaman akong totoo. Sobrang pasasalamat ko na hanggang maaga, nakawala na ako.” ABS-CBN did not include in the uploaded clip where Delas Alas revealed Salang’s infidelities and physical assaults against her. 1. Yesterday’s episode of The Buzz is certainly a ratings winner, since it also features Abunda’s interview with Marjorie Barretto where she personally admitted that she is the woman in the scandalous photos that circulated online recently. 2. Breaking down on national television because of a personal problem? Kris started it, KC Concepcion copied it, and now Aiai also did it. What else is new? 3. In hindsight, it’s wise that the couple married in Las Vegas, where getting a divorce is cheap. According to one website, filing a joint petition for divorce can be as low as $625 only or about P25,000.That’s the place where Britney Spears was able to marry for just 55 hours. In the Philippines where divorce is not allowed, annulment proceedings can drag on for years with hundreds of thousands of pesos spent – without guaranteed results. Ask Amy Perez.